Inistioge (“Teoc’s or Tighe’s Island”) is a most pleasant example of the little Irish village with church, cross, spirit-grocery, petrol-pump grouped round a quiet shadowy square. Time stands still, and the children under the lime-trees wait happily for the bus that has forgotten to come. The village lies in the prettiest part of the lovely Nore Valley on the west bank of the Nore, good trout and salmon river. And Psyche made immortal once again. Flaxman’s effigy of the poetess, Mrs. Mary Tighe (died 1810), authoress of “Psyche”, may be seen in one of the village churches. 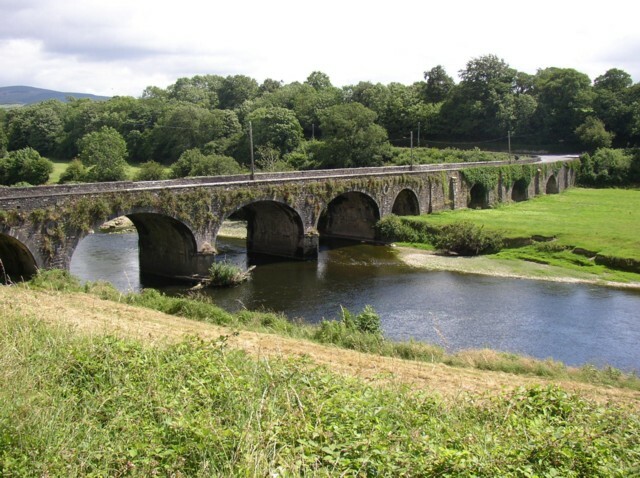 Inistioge is a real hidden gem that is worth a stop on your Ireland tours.